The Business Journals reports several safety organizations are teaming up to offer a lucky teen $1,000 and a trip to Honolulu for creating the best public service announcement aimed at distracted driving. Our Boston personal injury lawyers frequently report on the dangers of distracted driving accidents and the increased risk teenagers face behind the wheel. Nationwide, 5,000 motorists are killed and 500,000 injured in accidents caused by distracted driving. 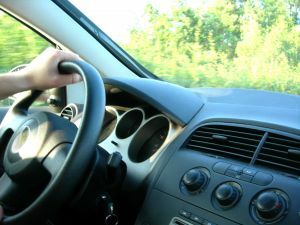 Massachusetts car accidents involving young drivers claimed 68 lives in 2008, according to the National Highway Traffic Safety Administration. The National Road Safety Foundation and the National Student Safety Program are launching the “JST DRV” Radio PSA Contest. The winning message will be broadcast nationally during National Youth Traffic Safety Month in May. “The JST DRV Radio PSA Contest hopes to engage young people in communicating important messages about distracted driving in their own voice,” said Michelle Anderson, operations director of the National Road Safety Foundation. Teens ages 14 to 18 are invited to submit a PSA that talks to teens about the dangers of distracted driving. Entries should be 15 to 30 seconds in length. Three runners-up will get a $500 scholarship and a Bluetooth hands-free device. The winner will receive $1,000, a Bluetooth and a trip to Honolulu to participate in the NSSP National Youth Conference in July. Visit www.nrsf.org or www.adtsea.org/nssp for more information about the competition. Deadline for entries is March 25, 2011. If you have been injured in a Boston accident, contact Massachusetts Injury Attorney Jeffrey S. Glassman for a free and confidential appointment to discuss your rights. Call 877-617-5333.